Lake St. Louis MO Orthodontist Answers: How Much Do Braces Cost? 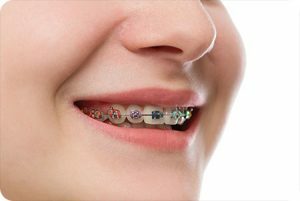 Braces are an investment in your smile that will serve you both aesthetically and medically for the rest of your life. Our Lake St. Louis MO orthodontist recommends considering these long-term benefits when considering the monetary cost of braces. The exact cost for braces tends to vary from smile to smile. Depending upon the extent of treatment required and the chosen alignment strategy, price can vary. Traditional braces tend to be cheaper in comparison with options like Invisalign or clear braces. However, some practices do offer comparable prices. Insurance coverage varies widely. Many insurance plans may cover children and teens when orthodontic appliances are necessary, but sometimes plans do not extend that same coverage to adults past a certain age. If you do not have insurance, braces can sometimes be considered tax deductible, too! If a big dollar sign seems daunting, be sure to consult with your Lake St. Louis MO orthodontist office about flexible payment options. Often offices offer monthly payment plans, which allow for much more manageable installments. Call your orthodontic office in Lake St. Louis to ask if this option is available, and explore what strategy may be best for you to avoid any financial surprises. Are Retainers Included in the Cost of Braces? Another question to ask your orthodontist is whether or not costs are all inclusive. Do the costs include consultations, adjustment appointments, and retainers? As teeth naturally want to move after braces are removed, retainers are critical to protecting all the progress your investment has achieved. Ask if retainers are included in the cost. This can help you avoid an extra bill at the end of the treatment you may not have budgeted for. Are Braces Worth the Cost? If you are grappling with a price tag while making a decision about braces in Lake St. Louis MO, it is certainly an understandably big decision! What can be comforting about making this investment is that braces often save you money in the long term. Crooked teeth are often harder to clean, resulting in an increased likelihood of cavities, discomfort, and more trips to the dentist. A misaligned bite can lead to discomfort or dietary changes, again leading to extra visits to the dentist, orthodontist, or doctor. Not only may braces eventually save you money, but they may also save you time in terms of office visits! If you have further questions about more specific costs regarding alignment options like braces or Invisalign, feel free to call our Lake St. Louis MO orthodontic office to schedule a consultation. We can help you find a way to make braces affordable for you!